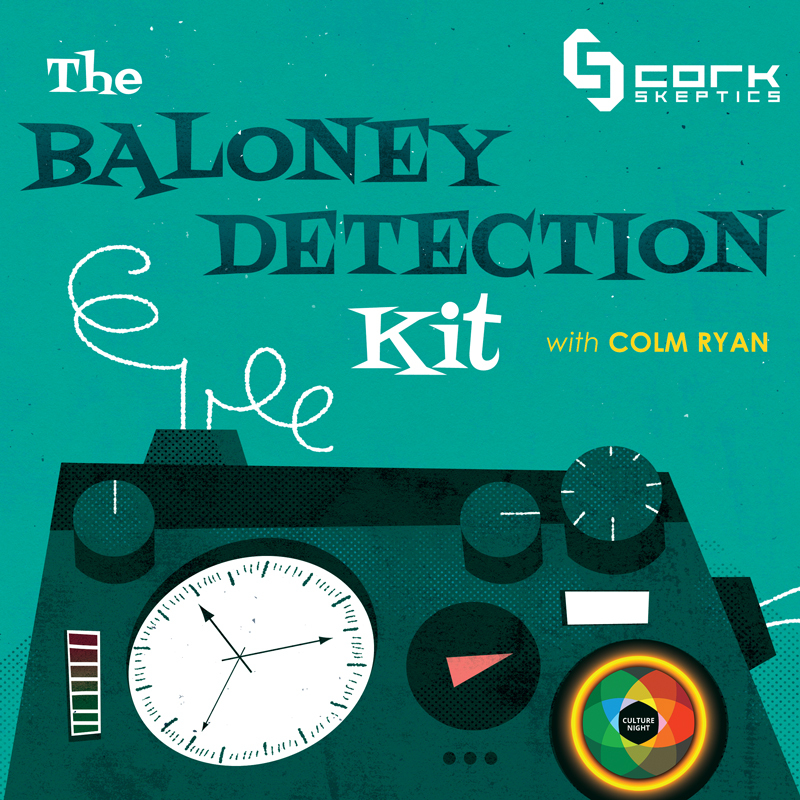 As part of Cork City Culture Night 2015, Cork Skeptics present “The Baloney Detection Kit” — a furiously fast-paced introduction to skepticism! From 6pm (repeating every half hour) on the night of Friday 18th September, at Blackrock Castle Observatory. UFOs. Ghosts. Astrology. Homeopathy. Telepathy. Miracle Cancer Cures. People all around the world fervently believe they exist and yet there isn’t a shred of good evidence that they are real in any sense of the word. On the other hand, there is strong scientific support for evolution, climate change and vaccines, yet millions reject the evidence entirely, preferring long debunked ideas instead. In a wide-ranging talk, Colm Ryan of Cork Skeptics explores the world of strange beliefs and discusses some ways to distinguish between good and bad ideas. Colm will talk about logical fallacies, brain flaws and other tricks that persuade us of things that aren’t so. He will also examine the crucial role that science plays in distinguishing fact from fiction. Colm is the co-founder of Cork Skeptics, a group dedicated to the promotion of good science while challenging strange claims. Founded in 2010 in Blackrock Castle, we host regular public talks on issues such as ghosts, nuclear power and financial scams. 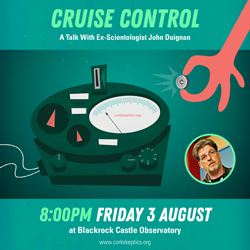 The talk takes place in Blackrock Castle Observatory, Cork City from 6pm on Friday 18th September. All are welcome. Categories: Events | Tags: clonakilty, cork, outreach, scepticism, skepticism, talks | Permalink.